The KEYS High School Summer Internship Program provides hands-on research opportunities to talented students from diverse backgrounds. By introducing the students to all facets of science research at the University of Arizona, KEYS — which stands for Keep Engaging Youth in Science — fosters knowledge, skills and confidence and helps with the formulation of degree and career goals. 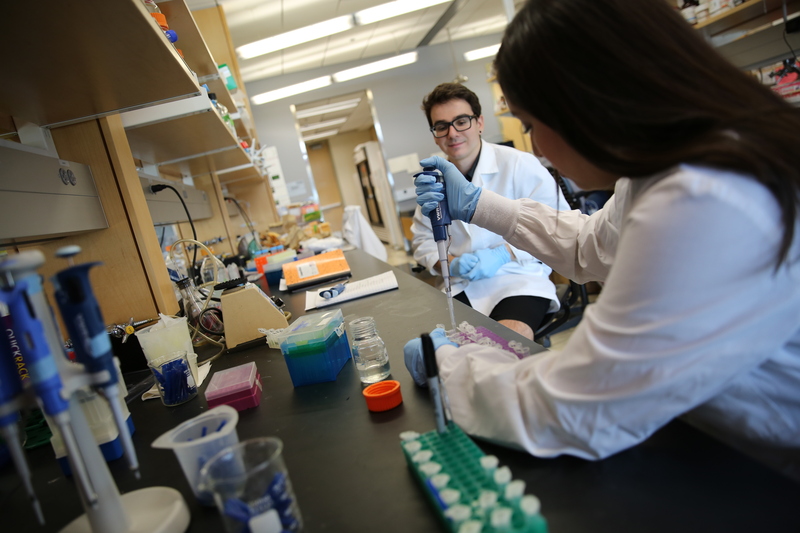 KEYS interns enroll at no tuition cost during their summer break for a week of intensive laboratory and science literacy training, followed by six weeks in the lab of a UA researcher. 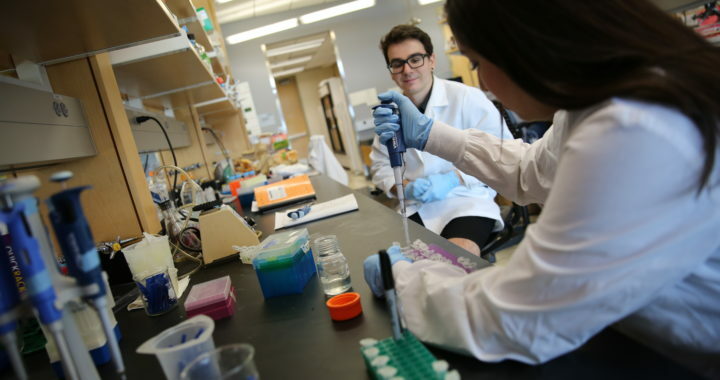 The program, which began in 2007, is an example of the UA’s focus on accelerating student interest in science, technology, engineering and mathematics — the STEM fields. It is co-directed by staff at the BIO5 Institute and the Southwest Environmental Health Sciences Center at the UA College of Pharmacy, relying on financial support from foundation, corporate and UA sponsorships, as well as contributions from individual donors. KEYS concludes annually with a research showcase, where students present their results to their families, UA scientists and program sponsors. To learn more about the KEYS summer internship program, visit the KEYS website.